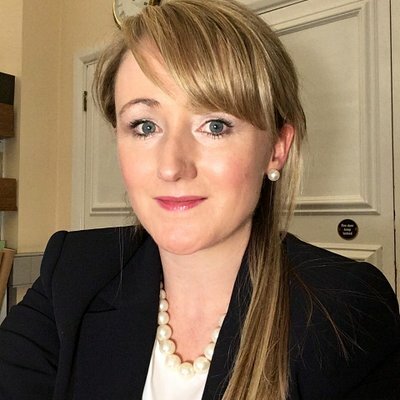 Below is the text of the speech made by Rebecca Long Bailey, the Shadow Business, Energy and Industrial Strategy Secretary, at the Labour Party conference held in Liverpool on 25 September 2018. I think that captures the energy, the creativity, eternal pride and solidarity of this city. But in today’s Britain that energy is being held back. I don’t need to tell you in Liverpool about the Tories and “managed decline”. But it sometimes feels as if managed decline is the Tory’s plan for the entire country. We have a government overwhelmed by the process of Brexit – with no idea about the type of country they actually want to live in. On all the big questions – the economy, climate change, inequality, what our working lives will look like – this government has simply nothing to offer. Time and time again they have ignored the concerns of businesses, such as Jaguar, Land Rover and Airbus, who know the looming catastrophe we face if we crash out without securing a good deal. We also know the Tories can’t be trusted, we know that they will use Brexit as a cover to roll back on our hard won workers’ rights. Eight years of Tory government has seen insecurity in the workplace become the norm and many workers now don’t have access to basic employment rights. Laura Pidcock our Shadow Minister for Labour Rights and Justin Madders, her maternity cover, have forensically held this Government to account but they don’t care. They don’t care about the tragic stories of gig workers, sick, stressed and under paid. They don’t even care about staff in their own departments of justice and business, campaigning simply for basic protections and a living wage. We care: workers under Labour will get full legal rights – such as sick pay, holiday and parental leave and protection from dismissal from day one, even those working in the gig economy. But, this precariousness extends beyond employment rights. Over three years there have been 100,000 job losses in retail alone, our biggest employment sector. Thriving high streets were once the centre of communities, somewhere local people were proud of but once flourishing businesses are now replaced by boarded-up shops with almost 25,000 vacant retail and leisure premises across Great Britain. Household names such as Toys R Us and Maplin have disappeared and big brands like New Look and M&S are closing stores across the country. The move to online retail and the changing nature of the way we shop doesn’t need to mean empty high streets and job losses. It can mean a vibrant community space, with local independent shops, cafes and restaurants. But that will require Governmental action to reinvigorate our high streets. Some of that action will be long-term changes, such as addressing the imbalance of tax treatment between traditional retailers and online sellers. That is why my colleague Bill Esterson is convening a cross-departmental taskforce to look into these complex issues. And Roberta Blackman-Woods will be leading a planning commission which will enable Labour to create policies that will revitalise our high streets, tackle climate change and environmental protection, as well as giving communities a stronger voice to shape their areas. Together these working groups will develop a long-term strategy for our high streets. But some actions can be done immediately. Today I am announcing Labour’s emergency 5-point plan to save Britain’s high streets. The next Labour government will ban ATM charges and stop Post Office and bank branch closures. We will provide free bus travel for under 25s. Deliver free public Wi-Fi in town centres. Establish a register of landlords of empty shops in each local authority. And finally, on one of the most pressing issues, business rates we will introduce annual revaluations of rates, exempt new plant and machinery from revaluations, ensure a fair appeals system and fundamentally review the business rates system to bring it into the 21st century. You see, it is only Labour that has the energy, the ideas and the courage to challenge the big issues and shape the world as we would like to see it. We just don’t accept that decline is inevitable, that productivity and wage stagnation is normal, that critical industries such as steel and manufacturing don’t need support or that it’s acceptable for public and private investment to be around 4 per cent below the developed country average. My brilliant colleagues Chi Onwurah and Gill Furniss have already championed necessary investment to support industry from research and development through to infrastructure and skills. We have stated that under Labour public procurement will support home grown supply chains and support strategic industries. And while we’d love to bring as many public contracts back in-house as possible, we cannot reverse overnight the Tories’ devastating cuts to the capacity of the civil service and local government. We must, and we will, rebuild our public services. And we must, and we will, set out a bold industrial strategy with ‘missions’ to deal with the big societal issues of our time. Perhaps one of the biggest issues we face, which the market has proven uniquely incapable of addressing – is climate change. The debate is over. The super-storms of the last fortnight are further evidence that the climate is changing, and the consequences are severe. Ten years ago a Labour government passed the Climate Change Act. World leading legislation binding the Government to reduce greenhouse gas emissions by 80% by 2050. But ten years later, the science is clear. We need to go further and faster to avoid dangerous climate change. My colleagues Alan Whitehead and Barry Gardiner magnificently show up the Tories’ rhetoric. The truth is the Tories are off track to meet our current targets. We acknowledge that the UK needs to do much more to meet the Paris Agreement goal of limiting warming to 1.5°C. So today I state firmly that A Labour government will back a target for net zero emissions by 2050. And that’s just the start because targets aren’t enough. We need a plan of action. And we’ve got one. We’ve been working with an expert team of energy professionals and engineers supported by leading academics. They have looked at Labour’s mission to provide 60 per cent of the UK’s energy demand from renewable or low-carbon sources within 12 years. They have asked – can it be done? How can it be done? And with what consequences for our climate and economy? And yes, it can be done! Offering a profound economic opportunity to revive our productivity and reshape our economy. Now this is just a taster in the time I have. The report recommends a diverse energy mix, one part, harnessing the best offshore wind prospects in the world to deliver a seven-fold increase in offshore wind power. That’s over 7000 turbines, a massive 52 gigawatts – enough to power 12 million homes. They propose doubling onshore wind power, and almost tripling solar power. Together, that’s enough to power over 7 million homes. And the report proposes making every single house in the UK a warm, dry, energy efficient home – eliminating fuel poverty. So this is not the time for piecemeal measures. We do not have to settle for whatever the market can deliver, and sleep walk into catastrophe. Because we can unleash the energy of the wind and the waves, and of our people, who have been criminally neglected through this country’s long deindustrialisation. Because for Labour, this is about boosting the fundamental quality of life for millions of people. This is about reinvigorating our towns and communities so that they truly symbolise local pride and prosperity. This is about kick-starting an industrial revolution with workers and unions at its heart, one that is built in Britain, and that can rebuild Britain. And by doing so, we can reclaim the future.